"For $10,000 of free food you better believe I'd name her Eggplant Parmigiana." Getting your favorite restaurant’s logo tattooed on your body is one questionable way to earn free food. But naming your offspring after a protein-packed grain in hopes of winning free grub is straight-up ridiculous. Twitter instantly lit up like paparazzi after a nip slip. @moniquemedina22 @bjsrestaurants could they give me half that if I name a dog Quinoa? 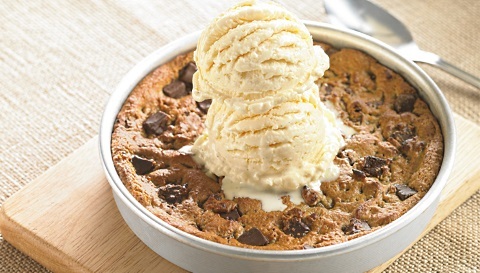 Aww, but just think about 400 of BJ’s Famous Pizookies! That’s worth your child’s dignity and complete lack of respect for you, isn’t it? To anyone who actually does this: Just so you know, your kid is going to go through this at the beginning of every single school year.